Hair loss resulting in thinning is known as Aloplecia. When it is related to hormones and genetics, it is known as Androgenetic Aloplecia. When Aloplecia removes an area of scalp in males, it is known as Male Pattern Baldness. It is genetically inherited condition, hormonal influence – effect of Dihydrotestosterone is also noted. Typically begins at the hairline. The hairline gradually moves backward, initially forms ‘M’ shape. Eventually the hair becomes shorter, finer and thinner and forms a ‘U’ shaped pattern of hair around the sides of the head. Appearance is characteristic and does not require any further tests. However blood tests may be advised to rule out other causes of hair loss. 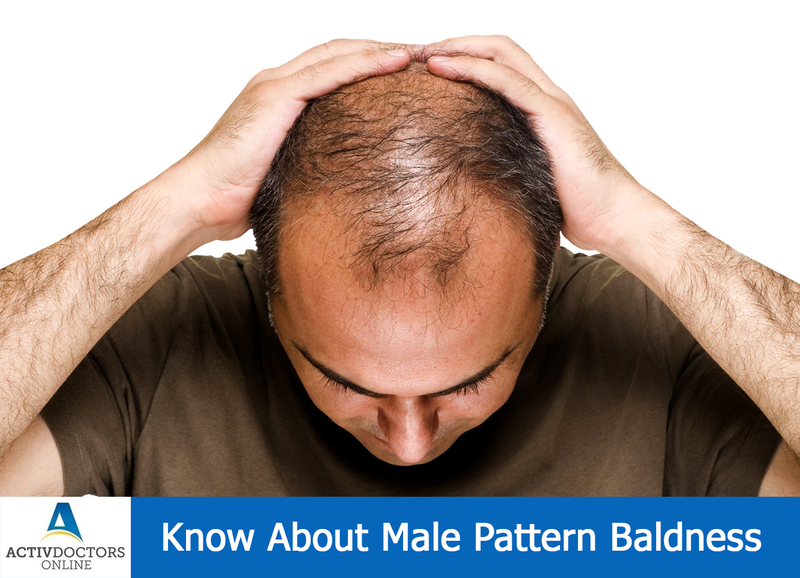 Male pattern Baldness is not a medical disorder, it is more of cosmetic concern. Hair loss is permanent and irreversible. Causes low self-esteem, affects social life, feeling of unattractiveness. Male pattern baldness doesn’t have implications on health but has a lot on the social life, hence get it treated today!! !